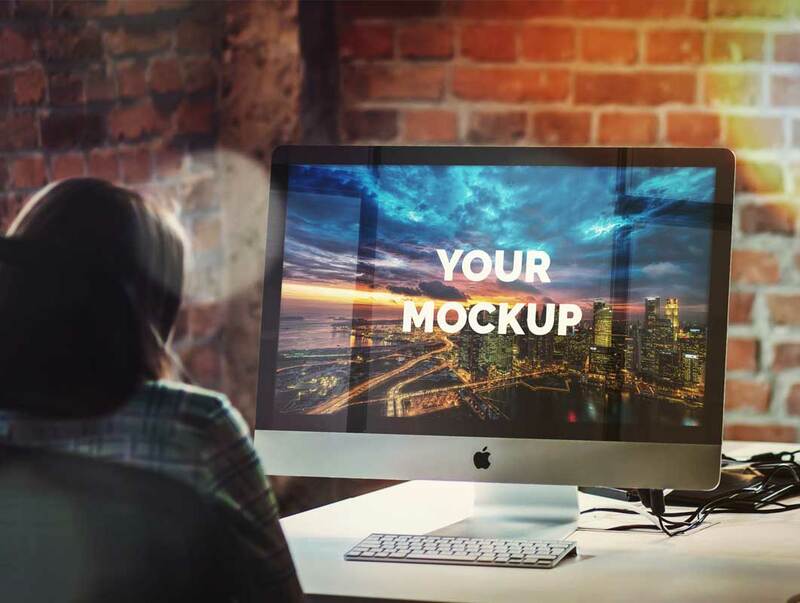 This PSD Mockup renders your desktop application screenshot onto an Apple iMac with 27 inch LCD screen. The scene is a boutique style office space with brick walls in the background. The iMac sits on a table with the keyboard, power and router cables. A person is sitting to the left of the iMac watching the screen.